In the third quarter of 2018, Spain's unemployment rate dropped to 14.6 percent, the lowest it's been since 2008. This is good news for the country, indicating that the economy continues to enjoy a strong recovery. The drop in Spanish unemployment surprised economic experts, exceeding their forecasts. This trend expected to continue. 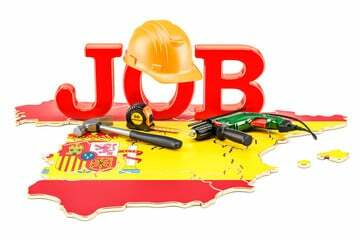 The Spanish government predicts the unemployment rate in Spain will drop down to 13.8 percent by the end of 2019. What are the factors contributing to these statistics, and can they really continue for the long-term? Let's take a look. Following a recession in 2013, Spain has bounced back with steady economic growth. This is primarily thanks to lower oil prices, terrorism fears, and the depreciation of the Euro. Here's how each factor helped lower unemployment in Spain. During the recovery period, oil prices hit a record low, giving the economy a solid boost. This lowered transportations costs and increased purchasing power. The higher profit margins gave businesses room to expand and hire, increasing the number of jobs available to Spanish residents. As tourists began to fear terrorism threats in Turkey and Egypt, they turned to Spain for their vacation plans. The country now remains one of the most popular tourist destinations for Brits seeking some fun in the sun. Whether tourists come to Spain for an extended vacation or a weekend getaway, every dollar they spend helps to support the Spanish economy. The recent influx in visitors has created more job opportunities for Spanish residents and higher profits for local businesses. The Spanish unemployment rate was also affected by the depreciation of the Euro. As the currency became less valuable, the cost of imported goods went up. This triggered an increase in the purchase of domestic goods. At the same time, European exports became less expensive for the rest of the world. The combination of these two factors created a boost in the economy, leading to additional job creation. Oil prices have since come up from all-time lows and the Euro has strengthened somewhat. However, the period of strong economic growth gave Spanish businesses the opportunity to strengthen and expand. They're now in a better position to remain more competitive and continue to grow in the coming years. Is Now the Right Time to Move to Spain? If the idea of Spain's sunny weather and beautiful beaches appeals to you, you're not alone. There are more British expats living in Spain than in any other country in the E.U. It's a popular destination for both retirees and working-age people. The expected continued decline in Spain's unemployment rate makes now the perfect time to consider relocating. As the economy continues to strengthen, home prices are expected to rise. If you've been thinking about buying a home in Spain, waiting much longer will cost you. At Right Casa, we want to help make your dreams a reality. Take a look at some of the gorgeous Spanish homes for sale then give us a call so we can help you find your perfect property.